Tea is the most commonly consumed beverage in the world after water. Tea has been known as one of the most nutritious drinks that you can have. For hundreds and even thousands of years, people have been using tea not only for health, but for ceremonies. The Japanese and Chinese regard this drink as something formal, and tea ceremonies are regarded as a proper way to welcome your guests. The health benefits of tea have been proven and some skeptics just drink it as an alternative to coffee because of the caffeine content of all teas. Numerous studies have demonstrated the anti-cancer properties of antioxidantt polyphenols. Some studies have suggested that tea’s polyphenols may reduce the risk of gastric, esophageal and skin cancers, if one consumes 4 to 6 cups daily. Another study showed that just 2 cups of tea may lower the risk of ovarian cancer by 46 percent in women. Other studies have found that polyphenols help prevent blood clotting and lower cholesterol levels. One Japanese study found that green tea Powers death rates from heart disease. Black, green, white, and oolong teas derive their leaves from a warm-weather evergreen tree known as Camellia sinensis. The leaves from this tree contain polyphenols. The more processing tea leaves undergo, the darker they will turn. Green tea and white tea are the least processed tea. They are simply steamed quickly. According to some studies, white tea is derived from the young new leaves from the Camellia plant in early spring. These young leaves contain no chlorophyll, so they are silvery white. Black and Oolong teas are partially dried, crushed and fermented. As we have mentioned before, regardless of the processing method, black, green, white and oolong teas all contain polyphenols. In fact, tea ranks as high as or higher than many fruits and vegetables in the ORAC score, a score that measures antioxidant potential of plant-based foods. There are basically three kinds of teas that we consume nowadays. Green, Oolong, White and Black teas are the most common teas you can get from any store. 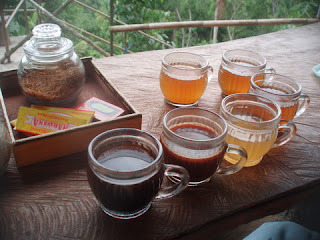 These teas can come from the same plant, however differences in color and effect are based on the fermentation and oxidation process they experience. 1. Green tea is made when the tea leaves are oxidized in a minimal manner and then left to dry in the sun. The colors can be achieved naturally and this will take more time than the regular tea making process. 2. 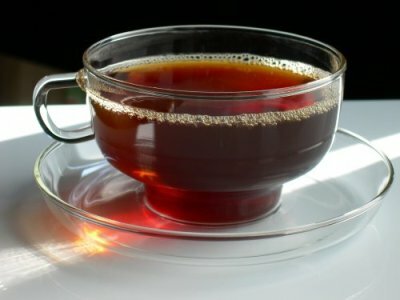 Black or Red tea is oxidized more compared to the green tea. This type of teas is oxidized for more than a week and sometimes for two weeks. It produces a red color when blended with hot water, and this is why it’s sometimes called red tea. 3. Oolong tea is achieved when the time of oxidation is between the green and black tea. The process is not as long as the black tea but not as short as the green tea. It’s the most difficult tea to process. 4. White tea is the newest form of tea to hit the market. This tea is made from the fresh buds of the tea leaves. When you talk about oxidation, the most common way of oxidizing tea is just to boil it. Leave it there for a few hours and days depending on the way you want it. If you want something stronger in terms of caffeine, you might want to have a green tea which is quite easy to create. Just boil it for a day or two and then leave it under the sun. However, the recommended way is to steam them and to keep the leaves from breaking. The effects of these teas are also different. Black tea is known to have a higher caffeine concentration and Oolong is the most effective when you are trying to lose weight. Even if you don’t want to lose weight, tea is good for you since it will act as a cleanser and will flush all the toxins by sweat or by any other excretions you might have. It’s also a tasty drink for some and it’s even a choice for an afternoon drink in some Asian countries instead of having coffee to give them jump start for the day or the afternoon. Tea is the second most widely consumed beverage in the world, exceeded only by the most necessary of all liquids – water. Tea is an integral part of everyday societal life in many of the world’s most populous countries. This has made tea the most popular beverage for a huge swath of the world’s people. The degree of processing the leaves of camellia sinensis determines whether a tea will be green, black or red (oolong). Green tea is the least processed. These are simply steamed quickly before packaging. Black and red tea are partially dried, crushed and fermented. The length of fermentation, which causes the leaves to blacken, determines whether the tea will be red or black. Help protect cells from the normal, but damaging, physiological process known as “oxidative stress.” Although oxygen is vital to life, it’s also incorporated into reactive substances called free radicals. These can damage the cells in our body and have been implicated in the slow chain reaction of damage leading to heart disease and cancer. Help neutralize enzymes that aid in the growth of tumors. Help stimulate the immune system. Tea also has fluoride for strong teeth, virtually no calories, and half the amount of caffeine found in an equally-sized cup of coffee. Whether decaffeinated tea has the same level of polyphenols, and thus the same health benefits, as regular tea has not yet been studied. Caffeine is a natural component of tea leaves. It is not yet known if removing caffeine also removes polyphenols. Help fight against mutagenic agents. Help fight high blood pressure. Help fight against viral and bacterial infection. Help improve the functions of the digestive and excretory systems.